I led trips for the Birding and Blues Festival in Pacific City, OR, last weekend. The weather was cool with scattered showers, so photo ops were not abundant. The Three Capes Tour on Friday was actually very good for mammals, with charismatic mega-fauna such as Gray Whale, Steller’s Sea Lion and Roosevelt Elk. 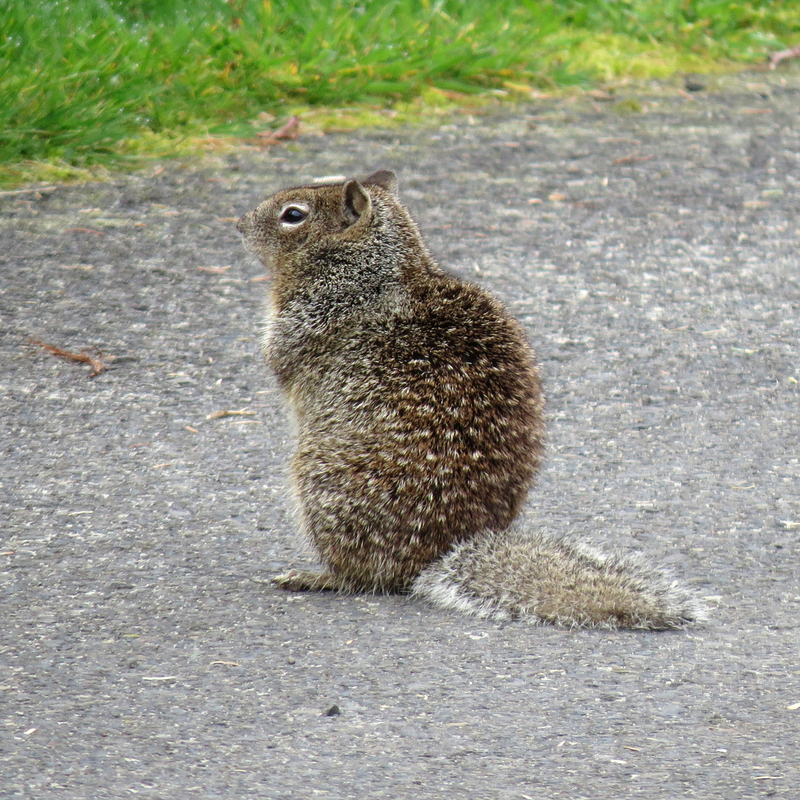 Only slightly less charismatic was this California Ground Squirrel. 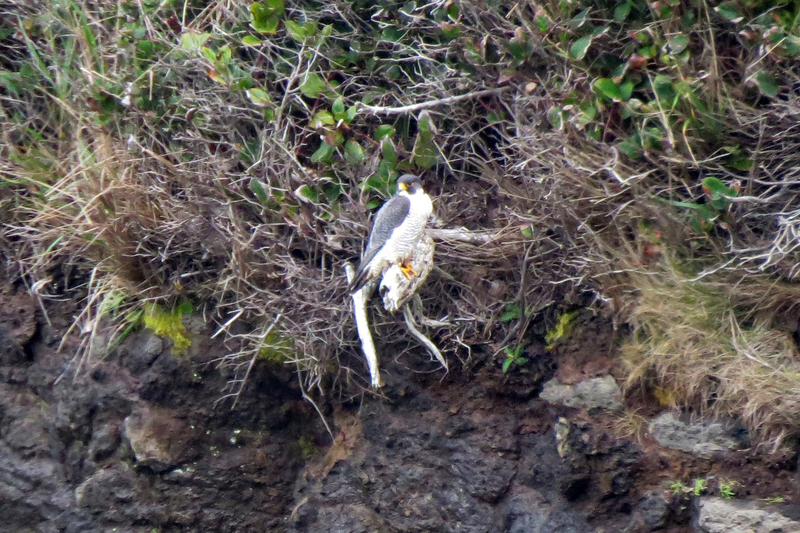 This Peregrine Falcon posed nicely on the cliff at Cape Meares. The rich colors of the rocks and plants, compared the overexposed image of the falcon show that I have obviously still not mastered my new camera. 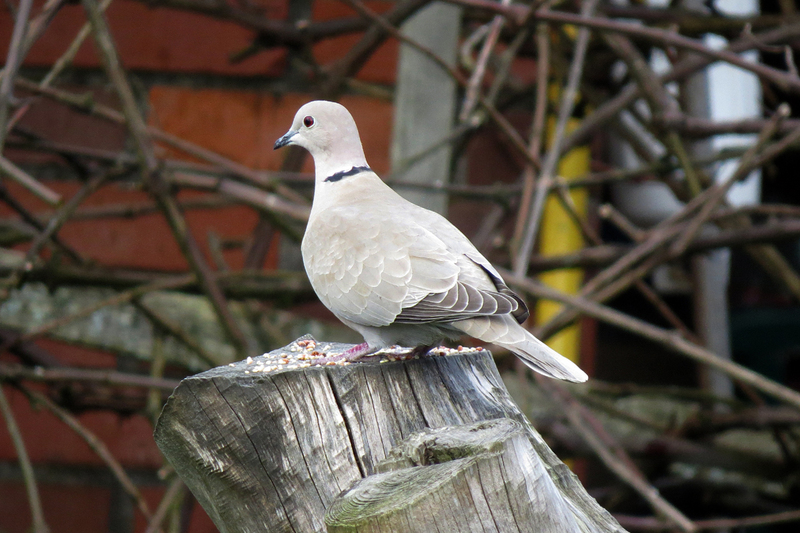 There is a large flock of Eurasian Collared Doves in Pacific City. Ten years ago, this species would have been a huge deal, but they are very well established now. Despite their abundance, this flock was very shy. 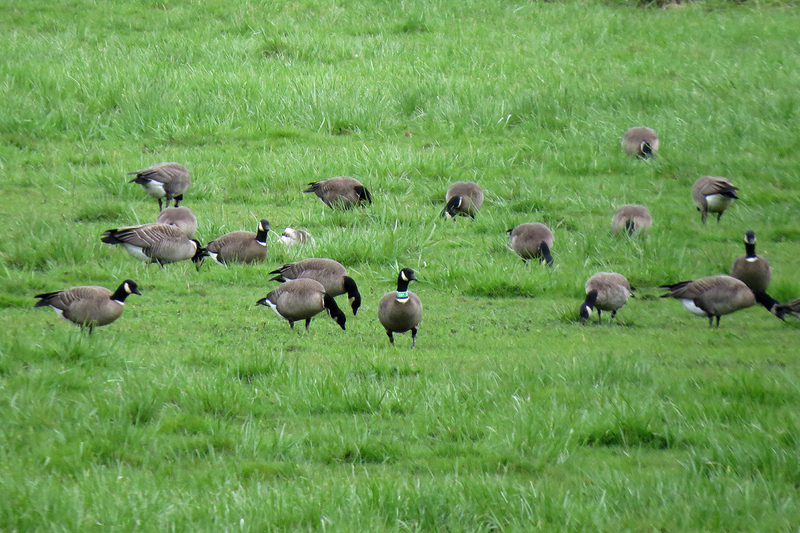 The avian stars of Pacific City are these Aleutian Cackling Geese. This particular population breeds on the Semidi Islands and winters at Pacific City, spending the nights on Haystack Rock offshore and days in this cow pasture at the north end of town. This entry was posted in mammals, OR Birding Sites and tagged Aleutian Cackling Goose, California Ground Squirrel, Eurasian Collared-Dove, Pacific City, Peregrine Falcon, Semidi Islands. Bookmark the permalink.